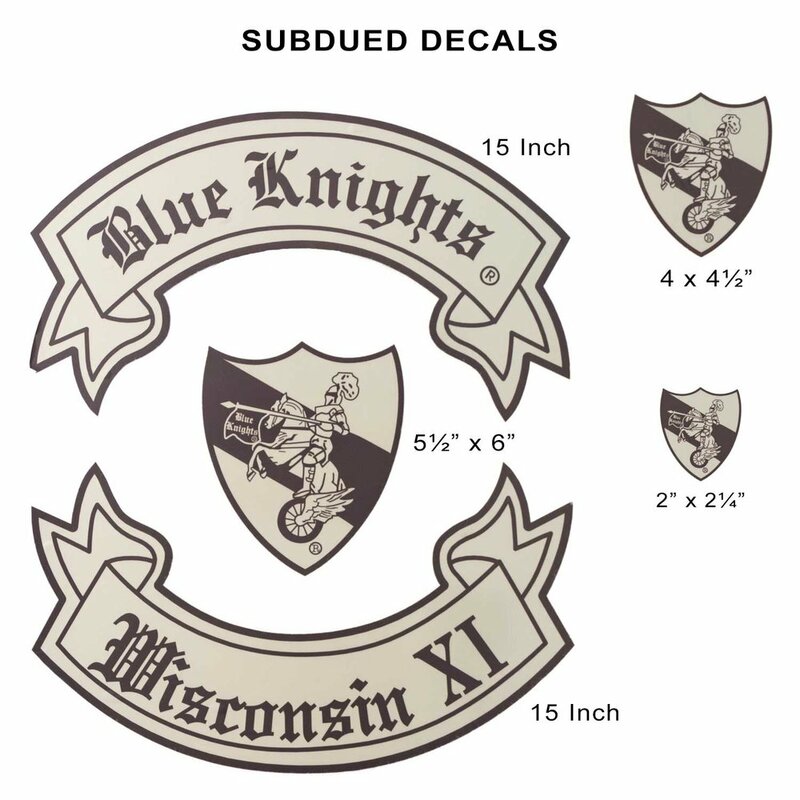 These decals work well on larger surfaces such as motorcycle trailers. Some choose the center shield or one of the rockers for a top box or saddlebag. A smaller, medium size shield is also available. When you click Add to Cart you'll get a screen for specifying bottom rocker text. If not ordering a bottom rocker, leave it blank and click add item button. You can have bottom rocker read "International" or your STATE and CHAPTER. Select Item / Lettering Top Rocker - Block - 15”Top Rocker - Old English - 15”Bottom Rocker - Block - 15”Bottom Rocker - Old English - 15”Center Shield - 5½"x6”Medium Shield - 4"x4½"Small Shield - 2"x2¼"